DR. TRACEY OWENS PATTON, PH.D.
2000 Ph.D., in Communication, The University of Utah, Salt Lake City, UT. Prof./Dr. Tracey Owens Patton is Professor of Communication in the Department of Communication and Journalism and adjunct Professor in African American & Diaspora Studies in the School of Culture, Gender, and Social Justice at The University of Wyoming. She also served as the Director of the African American & Diaspora Studies Program from 2009-2017 at the University of Wyoming. She earned her Ph.D. in Communication at the University of Utah. Her area of specialization is critical cultural communication, rhetorical studies, and transnational studies. Her work is strongly influenced by critical theory, cultural studies, womanist theory, and rhetorical theory. She has authored a number of academic articles on topics involving the interdependence between race, gender, and power and how these issues interrelate culturally and rhetorically in education, media, memory, myth, and speeches. She places strong emphasis on the interconnection between research and teaching, thus the courses she teaches involve issues concerning cross cultural communication, rhetoric, and social justice. 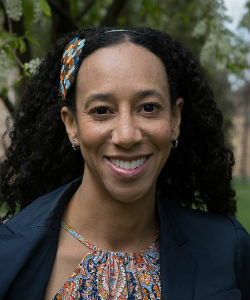 Dr. Patton has presented her research at nearly 80 different academic conferences, has published a co-authored book titled, Gender, Whiteness, and Power in Rodeo: Breaking Away from the Ties of Sexism and Racism (2012) and is working on a second book involving race, memory, rejection, and World War II. Tracey Owens Patton is a full professor and the Department Chair of African American & Diaspora Studies.